A beautiful example of an extremely comfortable original chesterfield sofa with soft buttoning to the back and two cushions in feather & down to the seat. 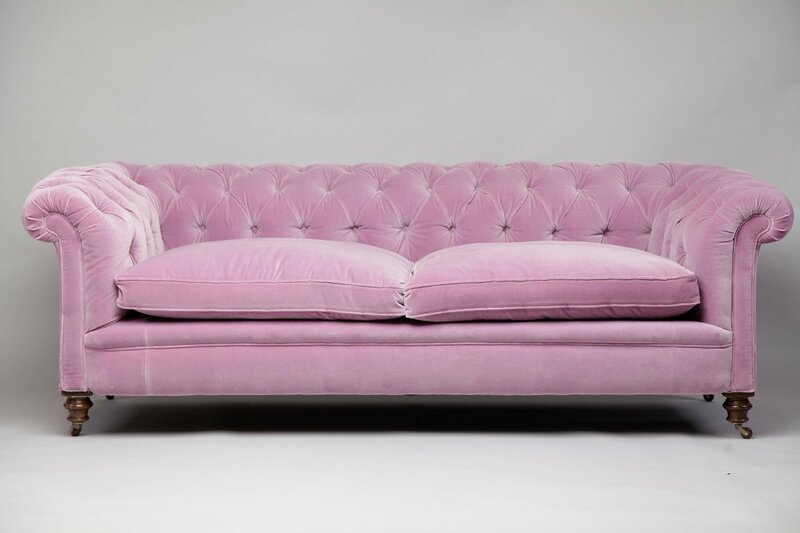 Fully restored all traditionally and available in the soft pink velvet as shown or alternatively you can contact us for a quote to recover in your own fabric choice. To ask a question about the Victorian Deep Buttoned Chesterfield click here. We'll email you the answer as soon as possible. If you have a question about the Victorian Deep Buttoned Chesterfield, fill in the form below and we'll email you the answer as soon as possible.